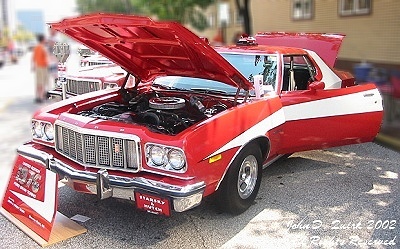 "Starsky & Hutch®" Torino, and our car served as the model for it! 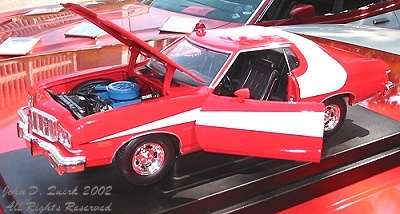 The details on the Ertl Torino, inside and out, are incredible! in Maroon, Silver, Bright Blue and Saddle Bronze! and are individually serial numbered - Only 5,000 of each color will be made! measuring and photographing our car back in October of 2001. 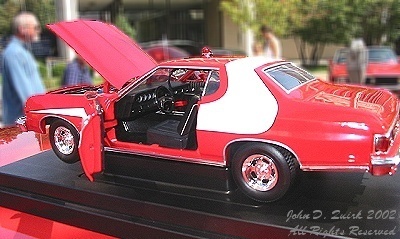 Tim K. contacted us and asked if they could take pictures of our car. we finally got together to photograph and measure our Torino. photos of Limited Edition S&H units, and many stills from the TV show. in September - the year-long wait was worth it! The car looks GREAT! Re-Created February 8, 2004. All Rights Reserved.